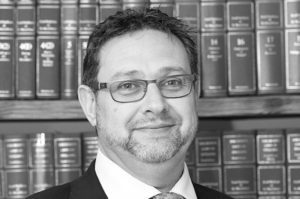 Managing Director Adrian Bryant has been instructed in the recently publicised case relating to a seventeen year old male who cannot be named for legal reasons, having been charged for being a member of a banned far-right terrorist group National Action. National Action is a far right Neo-Nazi organisation based in the UK which was founded in 2013 and outlawed in December 2016 having been assessed as being “concerned in terrorism” under the Terrorism Act 2000. Two further males from Birmingham have also been charged aged twenty two and twenty eight, one of which was convicted in June 2018 for inciting racial hatred by plastering racist stickers around a university campus. All three appeared at Westminster Magistrates Court on 11 September 2018 having been arrested by West Midlands Counter Terrorism Unit for banned membership of National Action and are due to appear at the Old Bailey on 12 October 2018. Following an undercover investigation conducted by ITV, there were reports claiming that members of the organisation were still meeting despite the organisation having been proscribed. It is alleged that those charged met under the organisation between December 2016 and September 2017. This case will continue to be publicised.